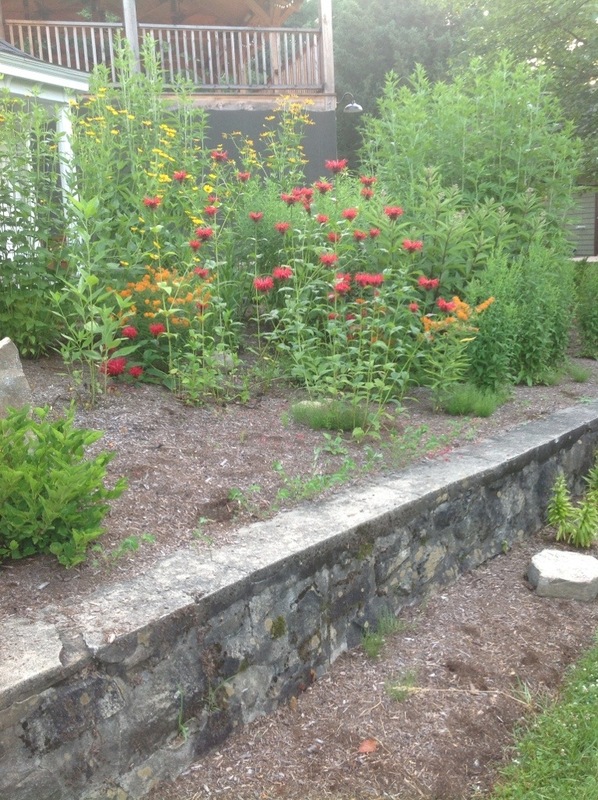 In the spring of 2012, I designed and installed some rain gardens in Lake George, at an inn right on the lake. This spring we added more plants into the design. This week I stopped by to see the progress of these Lake George rain gardens one year later. Native plant species spend a lot of energy developing their root structures the first year they’re planted, so I expected everything would be more spectacular and full this year. Rain gardens can come in several different styles. Most well known there is the depressed, catch basin rain garden style that captures the rain and holds it until the ground absorbs it, not more than two days and usually just several hours. Native plant species are used exclusively, as they have massive root structures (often double the top growth height) that act like sponges, soaking up the rain water. Another format for a rain garden is a utilitarian grass bed. These are traditionally used as storm water runoff catch basins adjacent to structures. 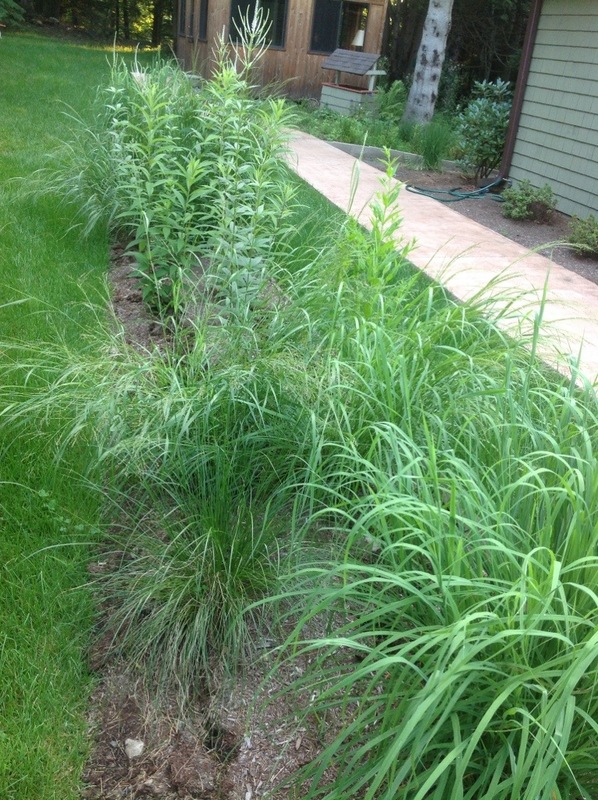 The grasses are a pragmatic choice because they are workhorses in the storm water absorption department. Native grass species like Big Blue Stem (Andropogon girardii) and Little Bluestem (Schizachyrium scoparium develop strong, multi-tiered root structures that just soak up storm water like it was their job. A third rain garden style is cultivated in spaces that traditionally have standing water after it rains; a wetland style garden design is employed. 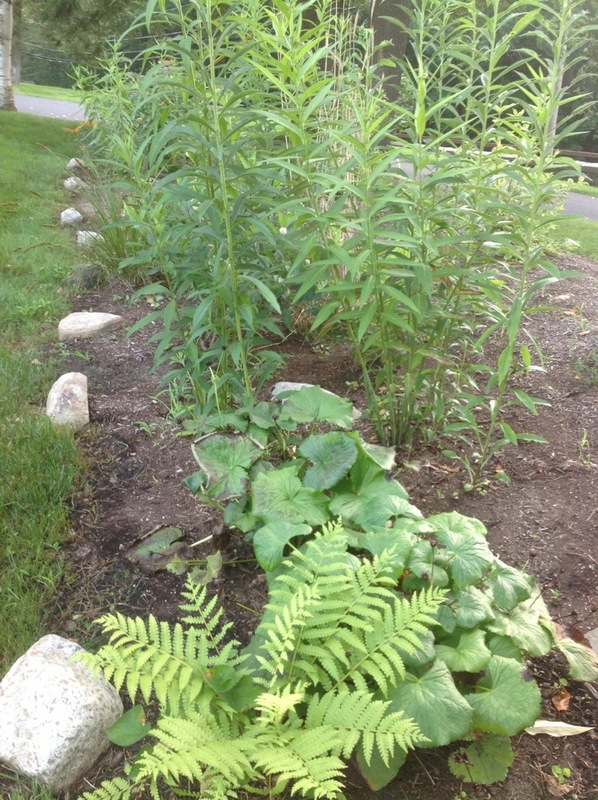 The native plants used in this rain garden style must be able to tolerate standing water. 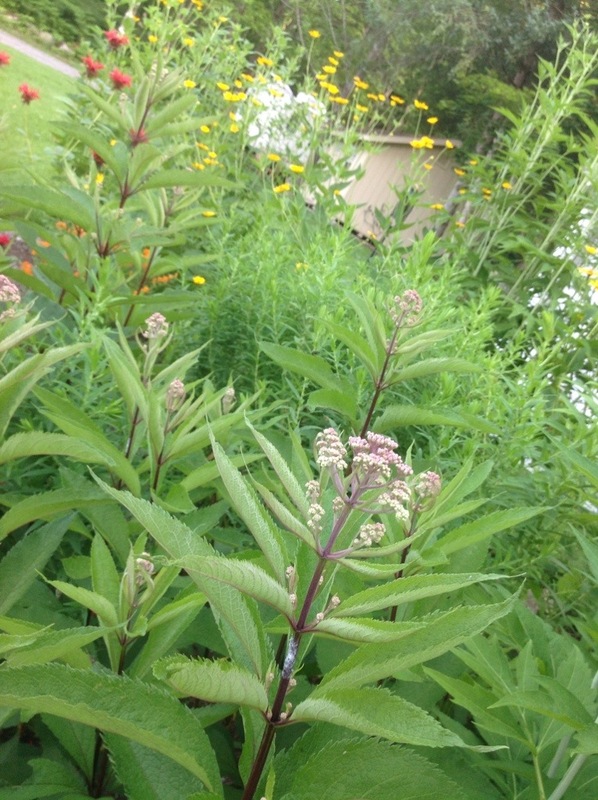 The Asclepias incarnata, Swamp Milkweed and Cephalanthus occidentalus, Buttonbush are two examples of wetland native plants. 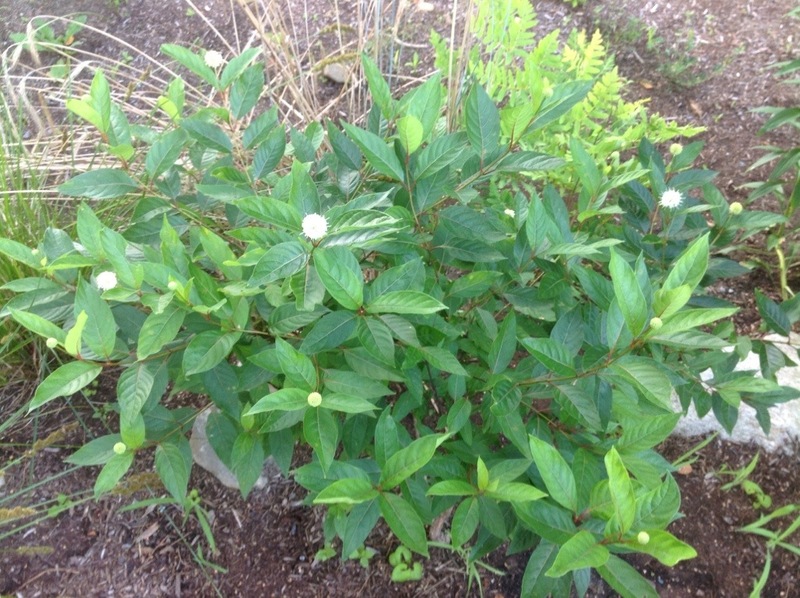 Well, technically Buttonbush is a native shrub. 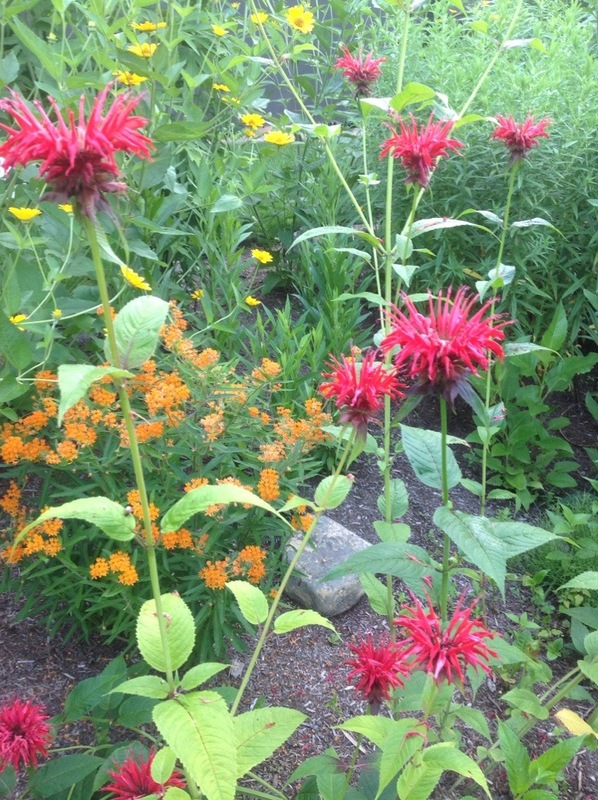 Frequently when there is a specialist native plant garden designer like myself working on a large project, and another general maintenance landscaper doing work at the same property, there are miscommunications. Sometimes humorous, sometimes unfortunate and destructive. The garden shown in this photo was developed in spring 2012 as a shade tolerant rain garden, as the catch basin site was located directly under a giant Sugar Maple tree. The site’s maintenance landscaper removed the Sugar Maple early in spring 2013. I arrived to find the shade garden in full sun conditions. Shade loving native plants in the rain garden were beginning to brown out from excessive sun exposure. To prevent complete annihilation of the shade plants we strategically placed some sun loving native plants and shrubs around the bed, to protect the shade loving plants by creating some instant shade. 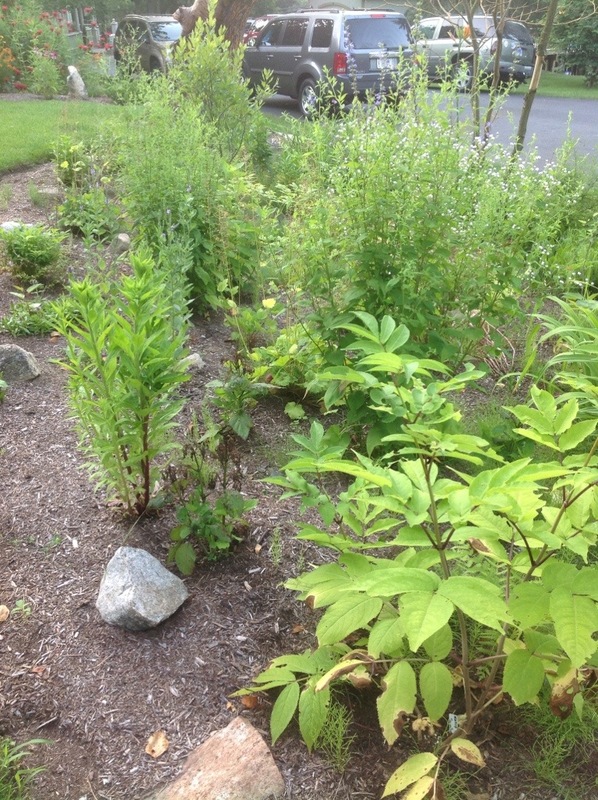 More and more native plant species are starting their bloom cycles in the Lake George rain gardens one year after planting. It is truely a beautiful process to be a part of.